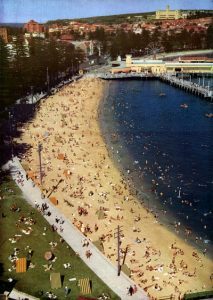 This exhibition of photographs, postcards and books will concentrate on his early career as a Sydney photographer around 1910 (before he charged off to Antarctica) and then bookend that with his work once he settled in Collaroy Plateau after WWII. It’s little realised that this famed action photographer and cinematographer first adventures were around Sydney harbour and Circular Quay or that he realised his dream home in the spectacular bush setting on the Collaroy Plateau (overlooking Narrabeen Lakes) in the last decades of his life. It was from Collaroy Plateau overlooking Narrabeen Lakes that Frank Hurley travelled many times around Australia to produce his books, photographs, booklets and postcards. An aspect of Frank Hurley’s life rarely spoken of is that he was an extremely keen gardener with a passion of Australian plants. 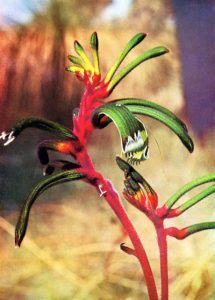 His interest in Australian plants is evident in his very early postcards (circa 1910) and surfaces again in his later life when he published calendars, cards, booklets and pamphlets on Australian plants. His garden at Collaroy Plateau was full of Australian plants. Manly Art Gallery & Museum has commissioned Gael Newton, formerly Senior Curator of Photography at the National Gallery of Australia, and her partner Paul Costigan, to bring together this exciting exhibition. As part of their research they have already uncovered stories about how Frank Hurley was seen gathering wild flowers around Collaroy in the 1950s. The gallery is now reaching out to ask if any long‐term residents know of other stories or have information about this famous Australian and his search for plants along the Northern Beaches. Up till now Frank Hurley has been famous for his exploits in both world wars, for his journeys to the Antarctica, and through his films and photographs. This exhibition presents a wonderful opportunity for the Northern Beaches to claim him back as a local celebrity and as part of the garden history of the area. If you have any information on Frank Hurley and his life in Collaroy Plateau – or know of anyone else who may be able to assist, please contact Katherine Roberts, Manly Art Gallery & Museum on (02) 9976 1418 or katherine.roberts@northernbeaches.nsw.gov.au.